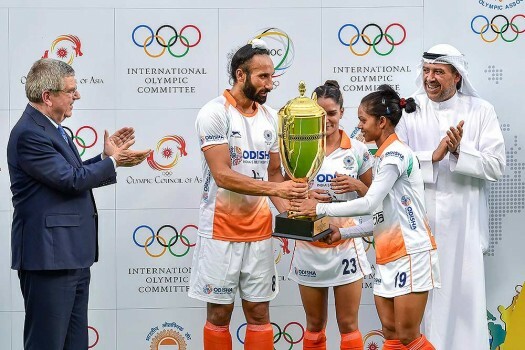 Players in action at a mixed team hockey match to mark the visit of International Olympic Committee President Thomas Bach at Dhyan Chand National Stadium in New Delhi. 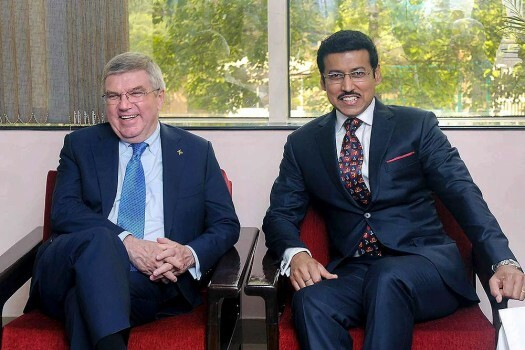 IOC President Thomas Bach meets Minister of Youth Affairs & Sports Col. Rajyavardhan Rathore in New Delhi. 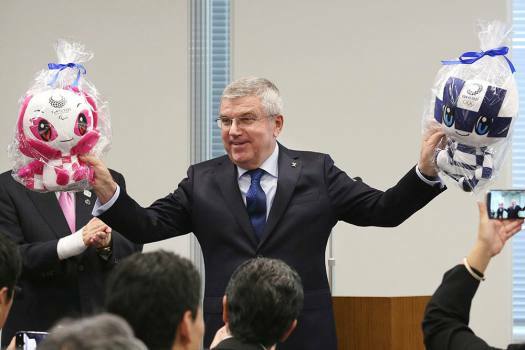 The IOC has been faulted for overlooking human rights abuses in countries that spend billions to host the Olympics. 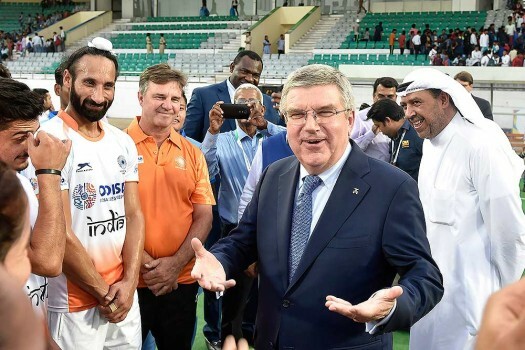 Since the start of modern Olympics in 1896, over 200 national teams have competed at the Summer and Winter Olympic Games, but for the first time, a team of refugees competed in Rio four years ago.